Artificial Intelligence (AI) is taking the center of the 4th wave of industrial revolution with the advances of GPU, and it is being applied to various applications such as intelligent robots, self-driving cars, unmanned aerial/ground vehicles, smart surveillance cameras, AI speakers, etc. However, most of AI applications today heavily rely on GPU, which consumes huge power with large form factor, due to the lack of dedicated mobile processors; the applications are limited to large systems of which power consumption is not crucial. In order for AI to soak into our daily-life applications, dedicated System-on-Chips that consume low power yet provides high performance computation is essential. In this talk, energy-efficient and real-time AI processor for advanced driver assistance system (ADAS) will be introduced. ADAS has been actively researched to enable adaptive cruise control, collision avoidance; it is strongly dependent upon the robust image recognition technology such as lane detection, vehicle detection, pedestrian detection, etc. However, the conventional ADAS cannot realize more advanced functions due to the absence of intelligent decision making algorithms. To resolve the problem, an energy-efficient ADAS SoC with deep risk prediction algorithm that predicts risky objects prior to collision by behavior analysis and prediction is designed. In addition, further examples of intelligent systems that my research laboratory is interested in will be introduced. Kyuho Lee received the B.S., M.S., and Ph. D. degrees in School of Electrical Engineering from KAIST, Daejeon, Korea in 2012, 2014, and 2017 respectively. 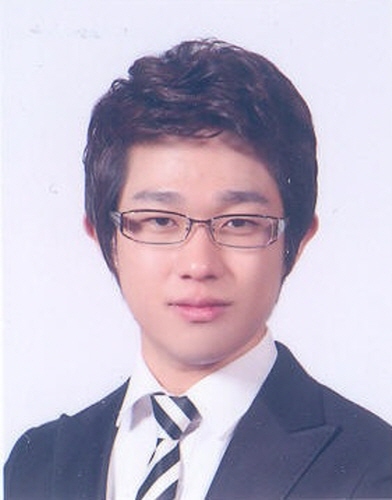 Before joining School of Electrical and Computer Engineering in UNIST, where he currently works as an Assistant Professor, he worked as a postdoctoral researcher in KAIST for alternative military service and was a principal engineer and a team manager in a start-up company located in Pangyo, Korea. His previous and recent research interests include development of analog/digital mixed-mode neuromorphic SoC design, hardware-oriented deep learning algorithm and its dedicated processor design, computer vision processors, machine learning-based network-on-chip architectures, low-power bio-inspired CMOS image sensor, and intelligent vision processors for mobile devices and automotive applications. Securing computer systems with au.. Deep Learning Training on GPU Clu..